I've been asked a few times recently to recommend a concealer that doesn't crease under the eyes. I have always suffered from dark circles under my eyes and use concealer every day. This is an easy choice for me - I always recommend my current go-to concealer and thought I should post a proper review about it! 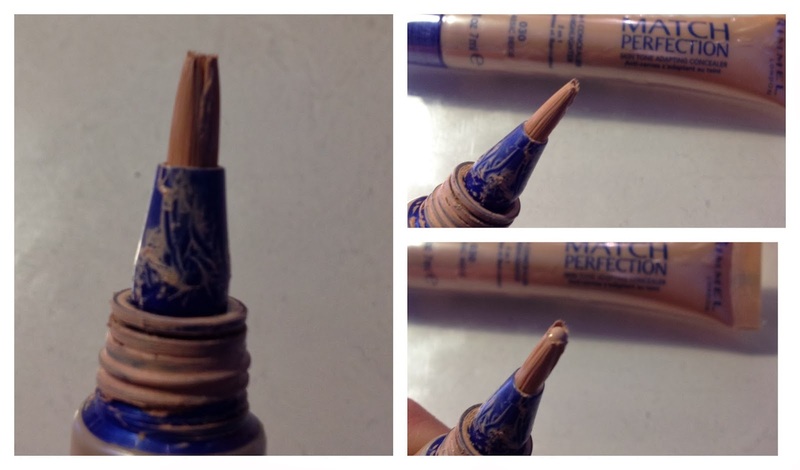 I've been using Rimmel's Match Perfection Concealer for 2 and a half years now. It lasts for ages but I'm about to start my third tube. I have so many cosmetics kicking around that I rarely finish anything let alone re-purchase. So this should be a good indication that this concealer does its job! In the past I have tried all different types of concealer. I of course have YSL's Touche Eclat (HERE) and have tried Clinique's version which is the Airbrush Concealer (HERE). I do like YSL's Touche Eclat but this is better used as a highlighter. I found that the coverage it gives isn't sufficient to hide my dark circles, and ditto to the Clinique version. Aside from the £25 price tag on Touche Eclat I do find it quite annoying that you have no idea how much product is left! One day you get a nasty surprise when the click dispenser stops working and you realise it has all gone - not ideal for a daily use product. I also tried one of Clinique's tube concealers designed to give greater coverage (I think it was this one, although it was a couple of years ago so forgive me if it was it's predecessor). But I found this very thick to apply and it creased really badly under my eyes. Having heard bloggers rave about it I also tried Collection 2000's Lasting Perfection Concealer. I was actually really happy with this, especially as it is a bargain at just £4.19 (HERE). My main gripe was that the tube has a dip in wand style applicator, which some people find unhygienic. But for me it meant that too much product collected in the lid and gradually seeped out of the screw-on lid. This meant that my entire make up bag and everything in it became coated and I lost my patience with it! I don't really suffer with break outs or blemishes, so I use concealer for my dark circles and to disguise any redness around my nose or eyes. What I want from a concealer is to adequately cover up the discolouration, to dispense a small amount of product so I'm not wasting lots of it or risking putting too much on. I also want it to apply smoothly without tugging at the delicate skin under my eyes. 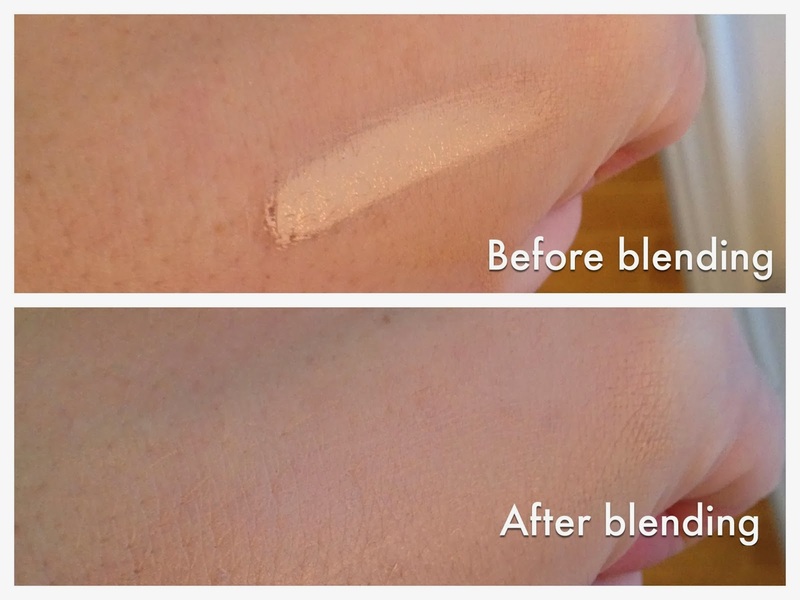 Finally I want it to blend easily without losing it's coverage. I have found that Rimmel's Match Perfection manages all of these demands well! Rimmel Match Perfection Concealer Applicator: Just squeeze to get the product onto the brush! 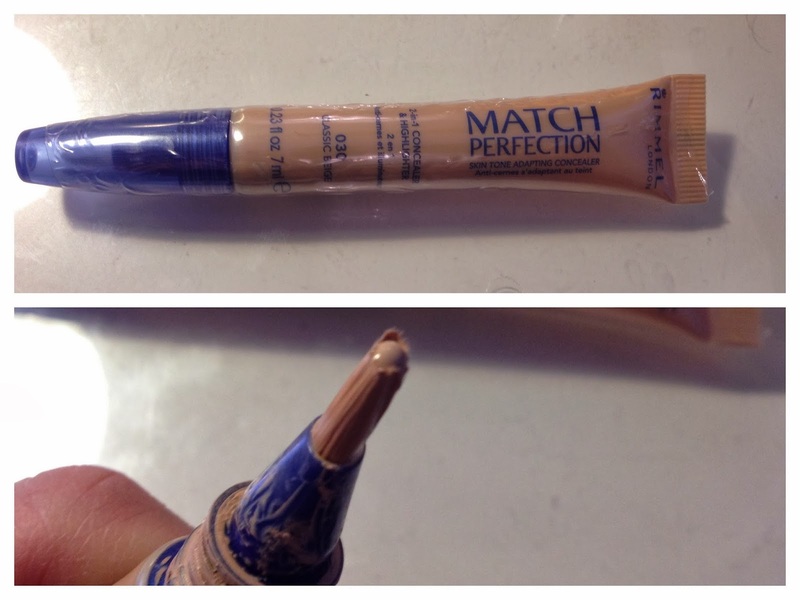 Rimmel's Match Perfection Concealer comes in a 7ml squeezy tube. The applicator is a soft brush that you apply the product directly to your skin with. You just gently squeeze the tube to push a little product into the brush. This means you can control the amount of product, plus the screw on cap covers up the messy bit and stops any product getting onto anything nearby. I generally blend the concealer easily with my finger, although recently I have been using my new Real Techniques Expert Face Brush to do the job (see my Expert Face Brush review HERE). Rimmel's Match Perfection Concealer comes in three different shades: Ivory, Classic Beige and Soft Beige. It is designed to adapt to your exact skin tone and can also be used as a highlighter. I have fair skin and I use Classic Beige which has worked perfectly for me all year round. To give you an idea for comparison - I use B20 in Chanel Vitalumiere Aqua Foundation and 52 in Bourjois Healthy Mix Foundation (take a look at findation.com if you want to see how these shades translate into other foundation brands and shades you are familiar with). I really like this concealer and it has never creased under my eyes - after all who wants to highlight their creases and wrinkles! Rimmel's Match Perfection Concealer is £5.99 HERE. Yes I really recommend it! I do like Touche Eclat but I think it is better as a highlighter. Besides the Rimmel one is such a bargain what is not to love!! Oooh, this looks interesting. I haven't tried anything from Rimmel for a while, now I want to! I have really bad undereye circles, so concealer is usually something I spend a little more on. I was loving Bobbi Brown Tinted Eye Brightener, but they 'reformulated' it completely and its a different, inferior product now. So I've been using Benefit Erase Paste, which gives great coverage. NYX also have a dark circles concealer just launched that I'd like to try. But maybe this instead now! What a bargain as well! Yes try it - I think its fab. Its so cheap it doesn't matter if you don't love it!